Everyone having a Good Citrix Synergy week? Some great new products announced! Ready for more announcements? After 5 months of coffee, tears of frustration and hair pulling we’re absolutely delighted, thrilled and relieved to announce ThinKiosk 4.0 is nearly ready. Complete with my new partner in crime Remko Weijnen (I’ve been saying ‘we’ for ages, now you know who… awesome eh?) we’ve worked some long nights to get this version out the door. With that out of the way, we’re proud to announce some of the new features coming in 4.0. Bear in mind this is just a preview, the final features and details of the product are still being hammered out, but below is a taster of some of the functionality you can expect to see shortly. Citrix VDI in a Box. For the exact details of each of these optimizations, follow the subsequent blog posts / documentation. ThinKiosk 4.0 has also been built on the industry leading graphical interface DevExpress giving us a really shiny, professional and sleek interface. Finally giving us an Interface we can be proud to put on your desktops. ThinKiosk’s interface has been further improved giving you an Applications tab for Publishing desktops for VMware View, Microsoft Remote Desktop services or Citrix Desktops via ICA file or local applications. This Applications tab has been modelled after the windows 8 Metro err, I mean Windows 8 UI. This provides a similar look and feel to the new Windows start menu and it really breathes new life into old hardware. With this tab, you can publish shortcuts to VDI Desktops or local applications making it a one stop shop for applications. You can flick from one tab to another easily, or disable the one you do not wish to use. It’s all about the customization! Beauty is in the eye of the beholder right? Agreed! ThinKiosk 4.0 will ship with over 8 themes and wallpapers, customization of the splash screen, buttons… everything! Anyway… Enough about the appearance, Lets talk tech! The ThinKiosk Broker, Management Console and ThinKiosk clients use an all new ThinKiosk TCP protocol (I never ever, ever want to see a tcp socket again for as long as I live, writing this protocol was a killer!) 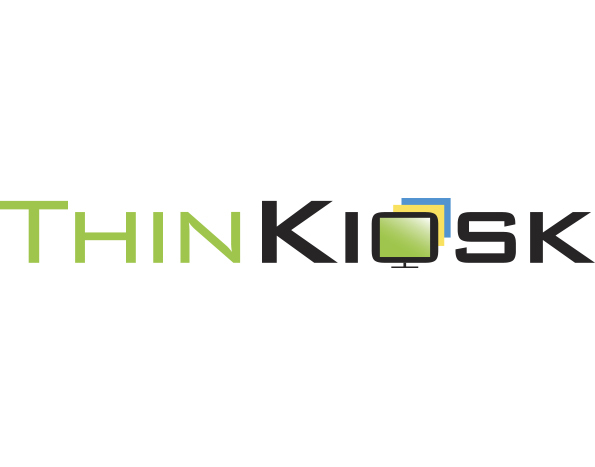 to allow you to centrally manage, catalog and report on your ThinKiosk devices. The protocol is lightening fast and secure by design. Auto device registration, just point ThinKiosk at the broker and it will check in and download the default profile. Remote Control / Shadowing of end point devices via the console. Device Grouping for profiling multiple devices or creating an organisation structure. Remote actions (power off, restart, update). No Enterprise database software necessary. Unlike other Thin Client protocols and software, ThinKiosk does not accept any inbound connections, in user or system context. Removing the ability to hijack thin clients… which is all too possible with certain vendors! Installation of the broker takes roughly 5 minutes and is ready to serve your Devices as soon as you configure the default profile. No more configuring 5 group policies for one url, the new policy manager is clean, self explanatory, full of new functionality and uses the same interface whether you are using the ThinKiosk management console or modifying the local profile. If you want to still use group policy to deploy configuration? No problem! just drop the file on the client via group policy preferences! Lets talk about the 4.0 client. ThinKiosk is now a fully fledged browser, complete with address bar. If you want to allow your users to browse around, now you can. Allow you to add your sites to the trusted sites via policy. Auto tunes the browser for VDI portals. ThinKiosk now runs as an Internet explorer executable. No more flicking between iexplore.exe and thinkiosk.exe. Now to the nuts and bolts! This integration allows ThinKiosk to better manage the desktop experience and provide your users with a single login pane rather than the recurrent login screens you can experience with Microsoft / Citrix file connections. These connection files can also be auto launched, to remove that pesky click first thing each day. Log off screen redirection for Web interface, storefront and VDI in a box. Log off the web portal when a desktop launches for the above platforms. Support for Adding ICA file connections. Auto configuration of Single sign on from local pc to remote desktop. (Nightmare previously). VDI in a Box auto browser tuning for compatibility. Optionally disable the Citrix Desktop viewer (CDviewer.exe). Support for publishing multiple direct desktop connections. Disables Certificate checking by default for quick POC’s. Pass through ctrl alt del / Windows + l (more on this later). Support for publishing multiple connections. Support for 2012 RDS and VDI. ThinKiosk 4.0 has an improved local application engine, When you add an application to the Applications tab, it will automatically pull in the icon window and you can also specify to launch apps but hide them (think run key entries). If ThinKiosk is restarted via admin task, it’s smart enough to know not to relaunch them. Environment variables for paths and arguments are fully supported and i’ve also added a variable for 32bit program files paths… I always wondered why Microsoft didn’t do this, but I digress. You asked… (and asked and asked and asked and asked). It’s done, with ThinKiosk 4.0 you will be able to block CTRL + Alt + Del, [Windows] + [L] etc. Pass through of these keystrokes to the remote desktop is available for VMware View already and will be coming shortly after 4.0 for Citrix and Microsoft connections. By default when you install ThinKiosk 4.0, it will arm the PC with the most restrictive policies via the local group policy engine, disabling access to all admin utilities and even local disks. This lockdown can be tuned or turned off via policy if required. ThinKiosk performs privileged actions via the ThinKiosk Machine service which installs as part of the installation. ThinKiosk will ship with it’s own user account for fast deployment. This account will be created on the local machine and gives you a quick an easy method to manage local accounts on non domain joined PC. The accounts password is synchronized with the ThinKiosk unlock password you specify. This account is completely optional and you can turn it off or substitute it with a domain account of your choice. ThinKiosk will also manage the Windows Shell replacement policy itself via policy, so no more mucking around with local group policy or registry keys. ThinKiosk also now encrypts the auto login account using LSA. With ThinKiosk as shell, you can now run Active Setup with ThinKiosk’s improved Active Setup Async. Active setup Async is a utility we have implemented into ThinKiosk that will perform active setup 60% faster than standard Microsoft active setup via a threading and queuing engine, the end result is active setup support ( for example: HDX flash redirection) with a much faster (and prettier) interface. ThinKiosk can now implement the local group policy engines start-up script to allow you to manage off domain PC’s. With the start-up script, you can install software, updates, disable services, uninstall software, delete files, profiles… anything! The only limitation here is your own imagination or scripting abilities. If the latter is a concern? worry not, we’ll be creating a scripting library where ThinKiosk enthusiasts can share and collaborate on similar tasks. ThinKiosk 4.0 offers you the ability to control local volume, printers, screen saver and even background color. ThinKiosk logs everything, every action, command, hiccup… everything. If something isn’t quite working as expected, chances are the debugging window will announce in triumphant glory exactly what is broken! ThinKiosk takes a copy of it’s profile on each check in to an FTP server or Broker server. In the event of the server being offline ThinKiosk attempts five times to connect before failing back to the local profile allowing your users to continue working without an outage. If the broker server becomes available again throughout the day, ThinKiosk will check back in to allow management but will not disturb the user. I’m not going to go on and on, but as you can see… It’s awesome! Check back in a few weeks for the release as we ready the build. This entry was posted in Citrix, Microsoft, Remote Desktop Services (RDS), Server Based Computing, ThinKiosk, VDI in a Box, Virtual Desktop Infrastructure, VMware, Web Interface, XenApp, XenDesktop and tagged Citrix, Converter, RDP, RDS, Thin Client, ThinKiosk, VDI in a Box, Vmware, VMware View, xenapp, XenDesktop on May 23, 2013 by andyjmorgan. Management (UEM) stack: VUEM (or Virtuall User Environment Management). It will be appearing as an additional module named “Transformer”. This has been in the pipeline for some time now and it’s great to be finally ready to talk about it! For those of you who may be unfamiliar, Norskale are the new up and coming stars in the UEM market. Norskale is the technical brain child of Citrix CTP, community expert and all round nice guy Pierre Marmignon. Pierre brings over a decade of user virtualisation experience to the table. Pierre is acutely aware of the failings in the UEM/ Remote Desktop market and is using these to great effect, creating a lean, extremely fast and easy to use end user management solution at a good price to boot. Pierre is backed by extremely clever development / marketing and management teams and with their help, Norskale is making serious waves, just in their first year, shaking a market segment that was somewhat dormant for many years. Pierre reached out to me late last year about a potential partnership between ThinKiosk and Norskale. Funnily enough Pierre reviewed the code of ThinKiosk 1.0 and as quite a new comer to this community,Pierre has always been an idol of mine in the Citrix community. It was because of Pierre and a handful of other guys in this community I decided to start blogging and release free tools. With all this in mind, when Pierre reached out, I jumped (backflipped) at the possibility to work with him! And how has it turned out? I’ve worked closely with the Norskale development team as they completely refactored ThinKiosk’s code to make their own VUEM integrated version that would suit their application framework and leverage all the functionalities they were already providing.I’ve been blown away with the results. Norskale VUEM is already a fast, feature rich and clever offering, but with a ThinKiosk style Workstation to ThinKiosk conversion they now can offer a unique end to end solution for user virtualisation in VDI and Server Based Computing (SBC). Keeping simplicity as key, it’s a matter of a checkbox to convert a pc to a Thin Client using Norskale, and just as simple to roll back completely should you need to. The Norskale solution has been written, debugged and signed off by a team of wizard developers and I couldn’t be more proud of the results. So now you can instantly roll out any VDI or hosted desktop initiative in a snap and without heavy investment in traditional thin client hardware. And you are getting the best level of performance and manageability one can think off. With Transformer, Norskale now have a ThinKiosk style solution as an add on to VUEM, their UEM solution which has all the features of the ThinKiosk product (and much more) to offer to it’s customers. Norskale’s Transformer will be maintained and evolving as a separate product entirely. But as part of our partnership, all improvements, features and solutions I add to the ThinKiosk solution will be available to Norskale for use in their own product. With this they get all of the benefits of their enterprise solution, along with the innovations ThinKiosk customers and aficionado’s are driving. ThinKiosk will remain free to use, will continue to be developed… I have a massive release coming out shortly. Worry not! ThinKiosk is not going anywhere and if you are a Norskale customer, or considering becoming one you will get the benefit of having their end to end solution and any features I add to the ThinKiosk product, all with Enterprise grade support and scalability. It really is a win/win solution for all involved. Norskale has a big, big future. It was an absolute blast to meet their development team and work with them on this project, I’m honestly looking forward to working with them again on new idea’s and solutions. Got an idea of your own? If like me you had a unique idea but struggled to see the bigger picture go speak to Norskale, NOW. They will help you leverage your idea, bring it to market and help you add to a game changing solution. They understand the space, the challenges of creating a product on our own and then trying to monetize it. This entry was posted in ThinKiosk and tagged Norskale, PC to Thin Client Conversion, ThinKiosk, Transformer on April 9, 2013 by andyjmorgan. 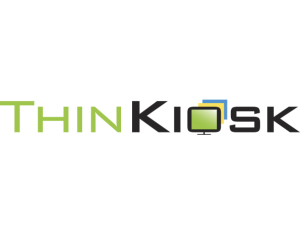 With great pleasure I’m announcing the general availability of ThinKiosk 3.1. Quite a bit of change under the hood and some nice features added to match. VMware View has gotten some love in this update, A big thanks to Jarian Gibson for the help. Then move it to your ftp server! The unlock password in group policy can now be encrypted to save it appearing in plain text to anyone capable of viewing the policy. ThinKiosk 3.1 ships with a password encryption tool you can use to encrypt your password. You can also test reversing the password to plain text to make sure you get it right before applying it en-mass and locking yourself out! And by default the FTP password will be encrypted too! ThinKiosk is now aware of batteries in laptop devices and will report their status. You can additionally disable this functionality with the offline configuration tool. A rare issue seen with the latest versions of the receiver was a bit of a hang, pause or complete lock up as receiver came to life. To combat this, you can now choose to early launch the receiver for Citrix, allowing it to gracefully start up in the background before the user requires it. You can also choose to launch this process as hidden, away from the user. ThinKiosk can now act as a locked down browser by adding back and forward buttons. This feature was asked for quite a few times, so now you can set the clock to 12 hour. A fully fledged debug window has been added to help timing issues. The debug menu can be accessed via command line (-debug) or via the admin menu in ThinKiosk. In rare situations (and I’ve been unable to reproduce it) ThinKiosk can jump above the citrix session when a log off of the web interface happens or during the login process. Zorder awareness will tell ThinKiosk to send itself to the back of the Zorder when the browser finishes rendering. It will also display a hide button, which will send ThinKiosk to the back in this rare event. Please use this setting as a troubleshooting tool, not a production setting. If this setting fixes the issue for you, please drop me an email and I’ll write it in. As I’ve been unable to reproduce this issue, it’s a bit rough around the edges. ThinKiosk is now aware of the timeout screen and will automagically redirect back to the login screen if it see’s it. If you wish to outright hide ThinKiosk while a desktop is active, you can now do so! Support for up to 20 sites has been added, thanks Martijn! A request came through to allow the home page always be site 1, this has now been included. support for environment variables in custom tools and prelaunch commands. (thanks Nathan). Offline config tool not setting password correctly. In process launch mode, power options were intermittently being applied. ThinKiosk development has taken quite some time and it takes time to support you via email. If you use ThinKiosk in your environment or appreciate the savings its made for you, please consider making a donation or paying for enterprise support to help me keep this project alive… I would really appreciate it as it will allow me to invest in better development tools to make the product look and feel even better! This entry was posted in Access Gateway, CloudGateway, Server Based Computing, ThinKiosk, VDI in a Box, Virtual Desktop Infrastructure, VMware, Web Interface, XenApp, XenDesktop and tagged Citrix, SBC, Thin Client, ThinKiosk, VDI, VDI in a Box, VMware View, xenapp, XenDesktop on November 16, 2012 by andyjmorgan.